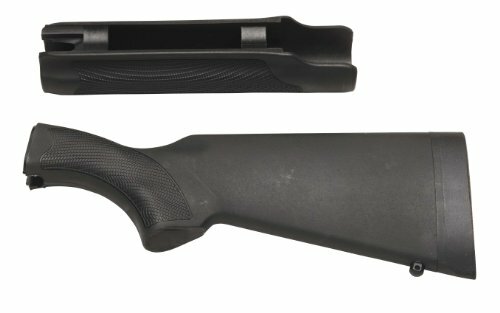 Champion now offers a large variety of newly designed synthetic stocks to fit a long list of popular rifles and shotguns bolt-action, lever-action, semi-auto or pump. These stocks add strength, accuracy, longevity and dependable performance with exceptional fit, form and function. They are made of first-class materials resistant to cleaners and oils. They also have an attractive appearance with a long-lasting, rich finish. The replacement stocks are manufactured for an accurate receiver fit, making installation quick and easy. They also feature state-of-the-art grip texture and the latest camouflage patterns, including Realtree AP and Mossy Oak Infinity. Each is enclosed within attractive, informative full-color packaging. By Numrich Gun Parts Corp.